One hundred years ago there were two big issues in America…migration and racial inequality. One hundred years ago, despite the Civil War’s abolishment of slavery, but before the Civil Rights Movement, African Americans were still repressed socially, economically, and legally. A mass migration of African Americans fled the rural South, heading north, mostly to three cities: New York, Chicago and St. Louis. 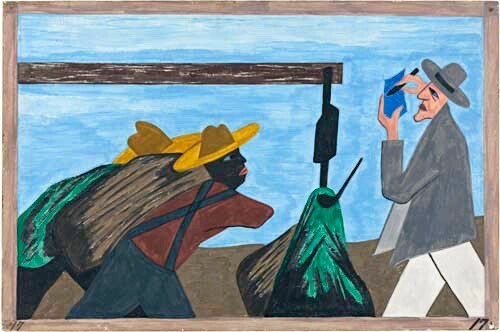 Jacob Lawrence, African American artist, painted their stories. 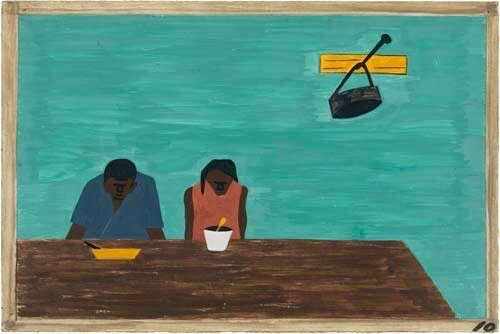 With his 60 small intimate, paintings, done on wood board and with inexpensive tempera paint, Lawrence’s series was instantly recognized as a tour de force, a new American epic. Lawrence and his wife, Gwendolyn Knight, wrote captions for each painting which are reproduced under each image. By 1970, the migration of African Americans had ended, and 6 million souls had left the South, hugely enhancing American culture. American music, food, expressions, and politics would never be the same. 2015: One hundred years later there are two big issues in America…immigration and racial inequality. 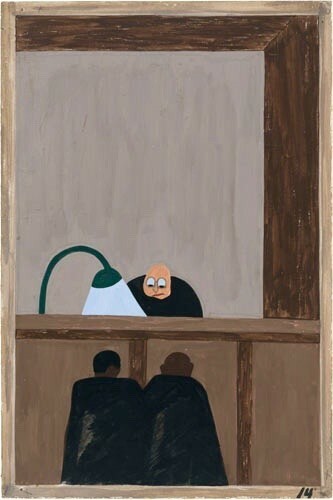 More Jacob Lawrence. Click here if you are unable to view the video. Must see video – Marian Anderson, celebrated African American singer, performs before a crowd of 75,000 people at the Lincoln Memorial on Easter Sunday, 1939. Click here if you are unable to view the video. I love his work! What a powerful painter……..fantastic! Thanks, Kirby. One hundred years is a long time. 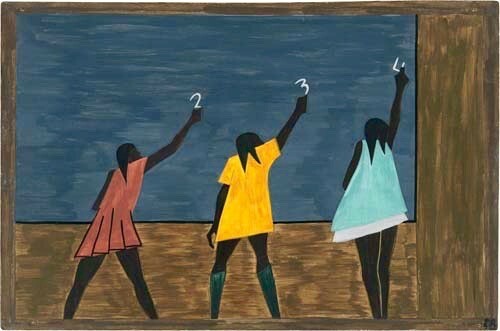 Jacob Lawrence and Marian Anderson serve as brilliant beacons to remind us what we are sure to miss if we delete African Americans from our lives. They also remind us that we still have a LONG way to go. “BLACK LIVES MATTER!” Thank you for your pertinent, poignant, and powerful reminder, Kirby. Kirby. Outstanding. A story well told – sad, true, meaningful. The graphic display, artfully on wood boards, portrays the issues so well. You are really into this chapter of American evolution of racism, migration and its ups and downs. It is now part of our contemporary news headlines. Progress? Yes. But because of the magnitude of the problem, it is probably necessary that pace of change be slow.